Sport Court of Southern California: Perfect Your Swing In Your Own Custom Batting Cage! Perfect Your Swing In Your Own Custom Batting Cage! Having crushed 61 home-runs last year, Giancarlo Stanton will step to the plate once again for the 2017 MLB Home Run derby for his home crowd in Miami, Florida. Practice smashing a ball similar to Stanton or L.A. Dodgers hot-hitter Cody Bellinger with your very own custom batting cage at your home. 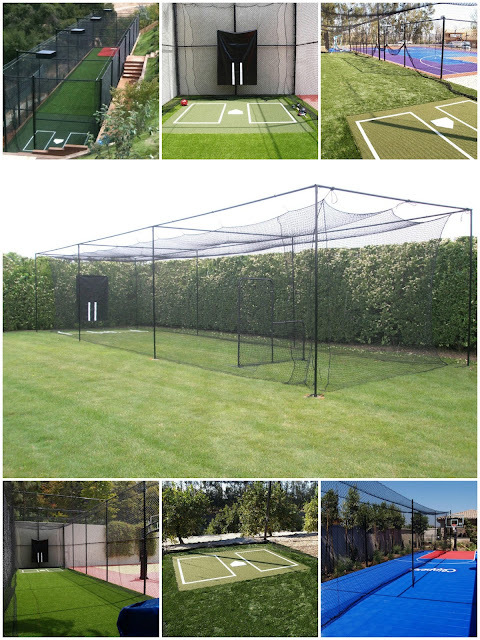 Sport Court of Southern California can install a professional batting cage in your backyard today. Even with minimal space in your backyard, Sport Court can install one customized to fit your area and needs. Our professional batting cages have netting custom-built to your dimensions and specifications. Have one alongside your current basketball court, host your own home run derby, and make your backyard the center of any party. If you have a child in little league or in a summer league this is a great investment. Your child can be practicing in a professional batting cage gearing up for their future shot at the Home Run Derby. Design Your Dream Court with Court Builder!